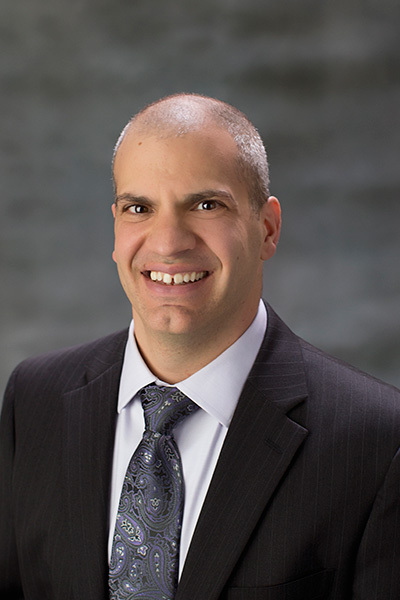 DiPrete Engineering would like to recognize Greg Guglielmo, a certified Land Planner, for his recent promotion to Executive Vice President as well as his 25th anniversary with the firm. Over the years, Greg has worked with hundreds of clients, and has taken on virtually every task the firm handles from drafting plans to completing survey work, testifying in front of local boards, and preparing engineering designs. His specialty lies in land planning and getting projects off the ground, in turn providing new opportunities for the firm’s extensive client base. He is also responsible for overseeing business development activities for the firm. Throughout his time at DiPrete, Greg has worked on several large-scale projects, his favorite being The Village at South County Commons, a mixed-use development in South Kingstown, RI. In his new role, Greg will be leading the firm’s day to day operations including new business development and proposal delivery, and the management of staff to produce high quality engineering and surveying products for their clients. In addition, he will continue to work with other senior leaders to set the path for the firm’s future growth, including individual personnel growth and firm expansion opportunities. When Greg joined DiPrete in 1992, there were less than 10 people working for the firm. Since then, the company has grown to more than 50 employees and has offices in Dedham MA, Newport RI, and Cranston RI. “I attribute a great deal of our success to Greg’s ongoing commitment to our clients and co-workers,” added Dennis. Greg lives in Attleboro, MA with his wife, Sheryl and daughter, Gabby. During his free-time he enjoys going to Orangetheory Fitness, watching Boston sports teams, and spending time with his family.